Stiffening Plate is installed between the middle and the lower rails. It enhances the durability when crashed by dispersing impact energy. Reinforcing Pillar inserted in the post makes the post more intense and strong against impacts. 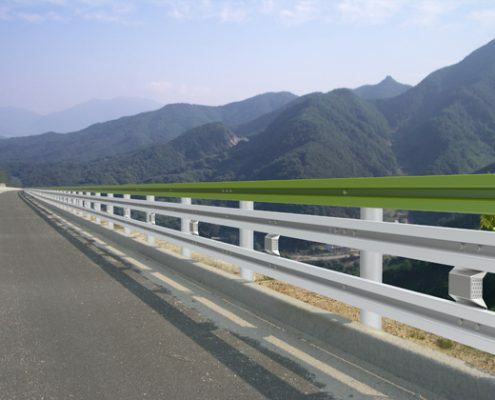 Impact-absorbers are installed between a post and rails to effectively absorb the impact when crashed.